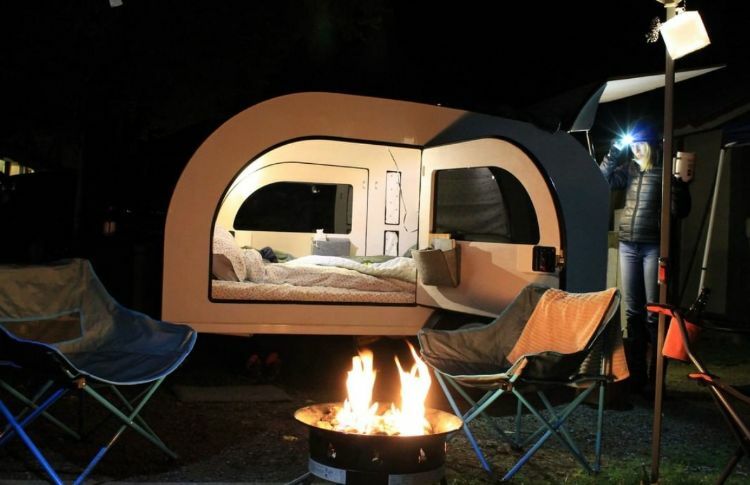 Do you think small trailers can't possibly be any fun? You're wrong! 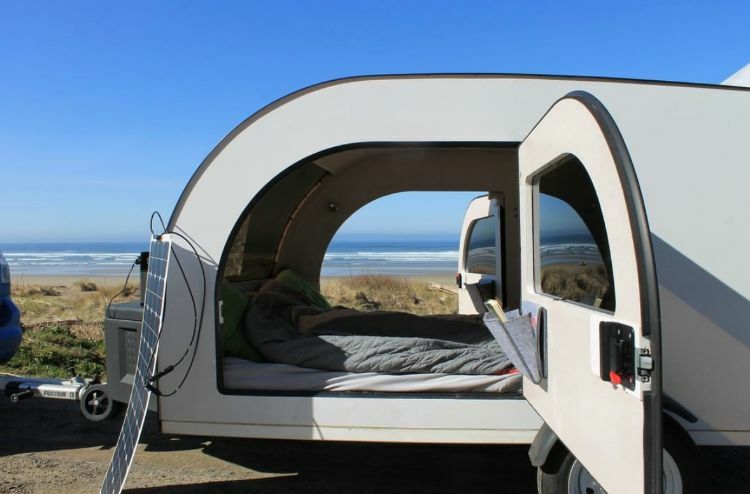 This tiny Droplet Trailer, manufactured in Vancouver, British Columbia, has everything you need for an enjoyable camping trip, and some wonderful extras too. Weighing in at just 950 pounds, it can be pulled by even small cars. It includes a queen-sized bed, interior storage cabinets, broad windows, doors on both sides and built-in lighting. 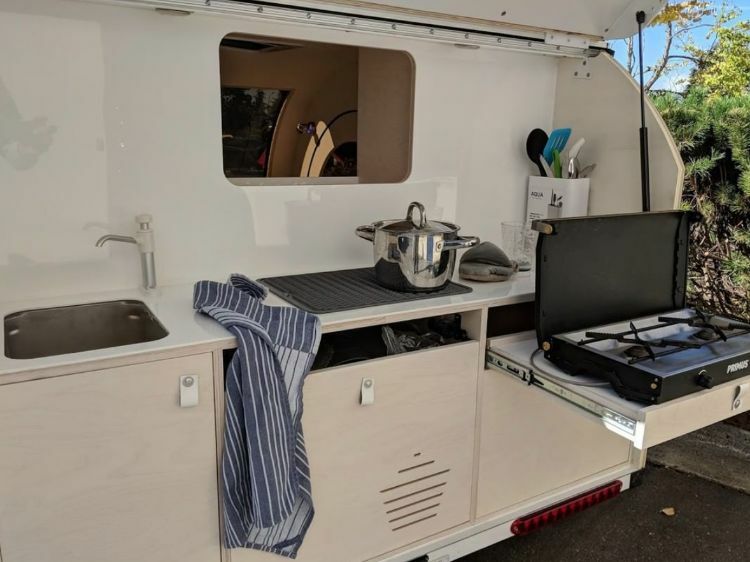 The rear kitchen features a two-burner, propane stove, a hand pump operated, closed loop water system, a small refrigerator, more lighting and plenty of storage. This trailer is only 13.5 feet long and it is airy enough that you don't even feel it behind your vehicle when driving. It is constructed from a high-tech laminate material, inspired by boat and aircraft design, and is built light and very strong. It is fuel efficient and works well for people who love quick and easy, hassle-free camping. It's easy to maneuver and easy to love. 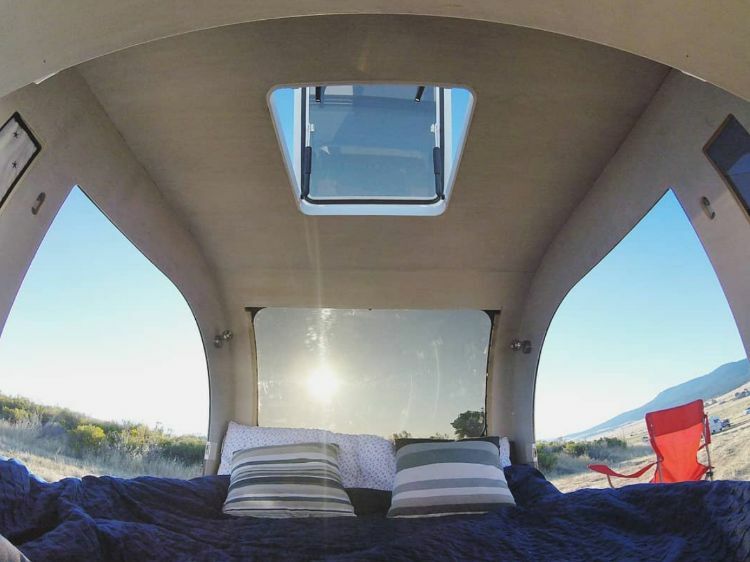 Take a look inside this fun little space, which just happens to be an efficient short-term home away from home on the road made especially for one or two. First, the doors on this trailer are huge. Its creators really wanted to make it easy for people to get in and out, and they succeeded. There is no need to even duck; simply sit down, swing your legs inside and you're in. Droplet Trailers is working on making its trailers wheelchair accessible. The interior cabin is only 5 feet wide by 8 feet long and 4 feet high, but it looks and feels much bigger. It's amazing what can be done with so little space. 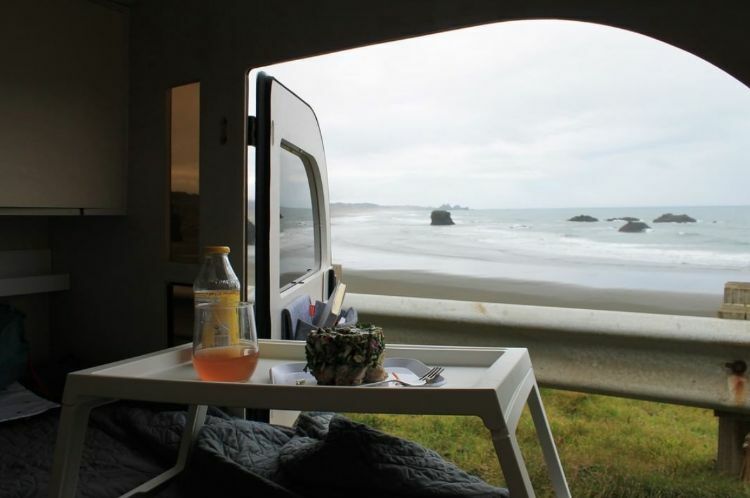 Inside, travelers can enjoy eating in bed while they gaze out at their surroundings. 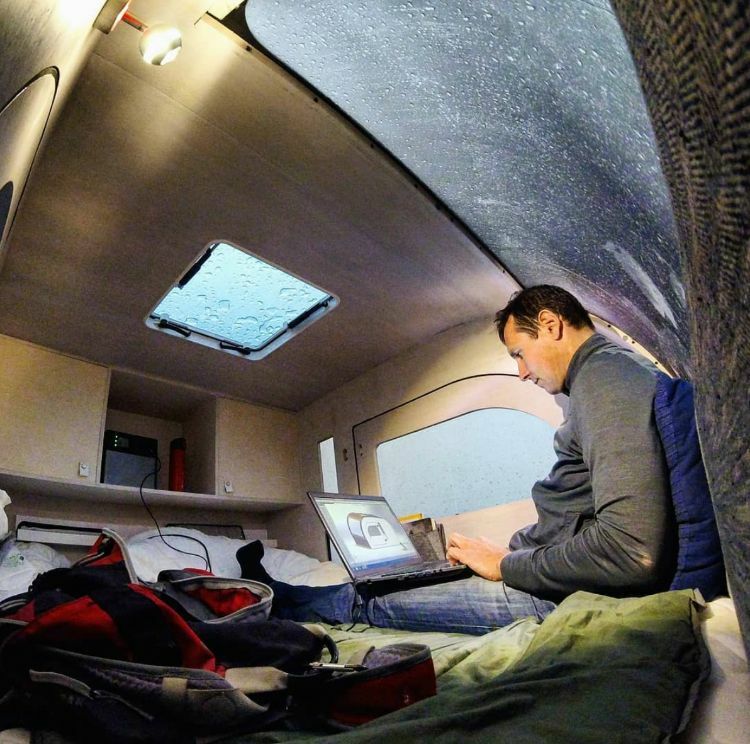 Whether you're a travel blogger writing about your worldly adventures or just someone who needs to check your email while on the road, the comfortable cabin also offers plenty of room for sitting up and banging away at a keyboard. 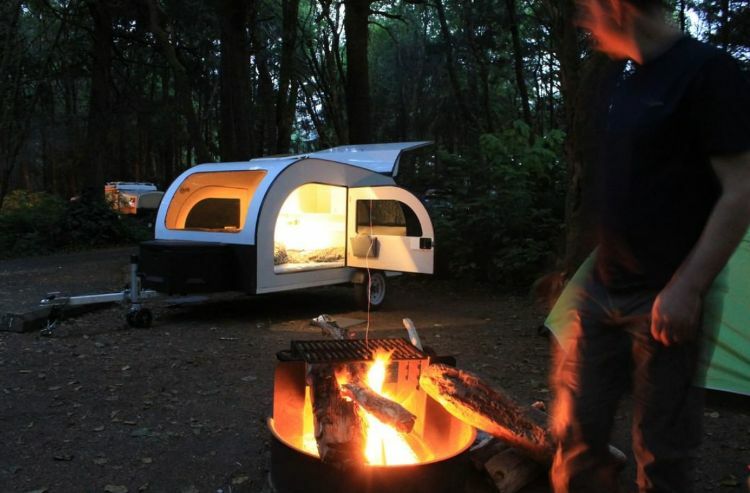 Unlike a pop-up or a tent, the Droplet Trailer is hard-sided and entirely waterproof. You can relax inside on a rainy day and stay completely dry. This photo, taken from the yachting hatch installed in the roof for light and ventilation, makes the bed look huge and welcoming – and it is. Plenty of room for two is available with this queen-sized mattress , and there may even be extra space left over for a four-legged friend. It's cozy without being cramped, and the large windows serve as a reminder that you're not at home in your basement but are instead encircled by the natural world. There is no air conditioning in this tiny pod, but airflow is not a concern. Because the doors on both sides open wide, opening both allows for a refreshing cross breeze. The yachting hatch, when opened, allows for rising hot air to escape. Park this trailer in the right spot at the right angle and you'll be comfortable no matter what the summertime weather brings. Two shelves and two cabinets offer a good amount of inside storage. 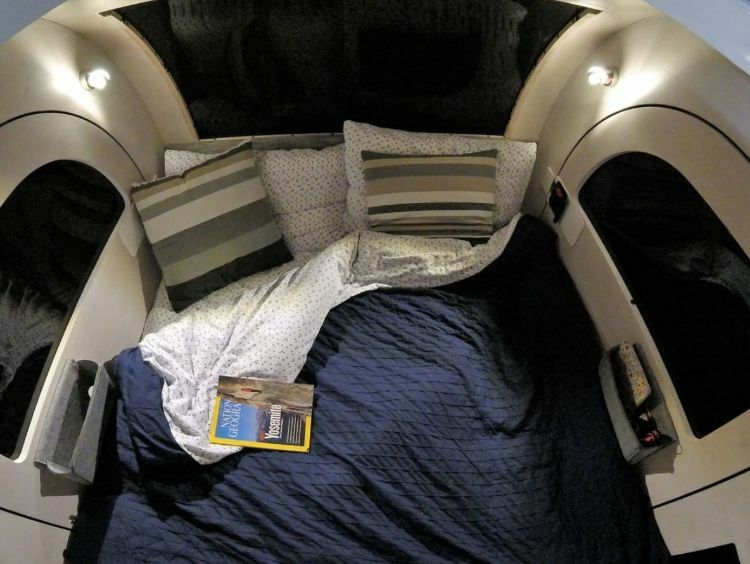 These spaces work well for electronic devices and enough clothing for a short getaway. Felt pockets on both doors provide more storage for smaller items, and items tucked away in them will be easily accessible during a quick stop without even having to climb inside to reach them. The front window is gigantic! Even when you are inside, you will feel like you are outside. Don't worry about privacy, either – the windows are tinted so no one can see in. But if that's not enough for you, magnetic window covers are available. Open up the back of the trailer and you will find a simple kitchen setup with a spacious countertop and attractive backsplash that invites you to create an outdoor, culinary masterpiece. There's space to hang dishes and a 12-volt, slideout fridge. The two-burner, propane cooking stove is removable so you can take it with you to prepare a meal on the beach or anywhere, and plenty of storage holds pots and pans, utensils and food. Cooking after dark? No problem: Two LED lights go on with a simple tap, lighting your way to a full belly. The sink is small but it is plenty big enough to wash dishes and is hand-pump operated. It's a closed system; water is supplied by internal water storage tanks, but they are easy to refill. It's handy to have water easily accessible for a quick lunch on the road during a long day of driving. 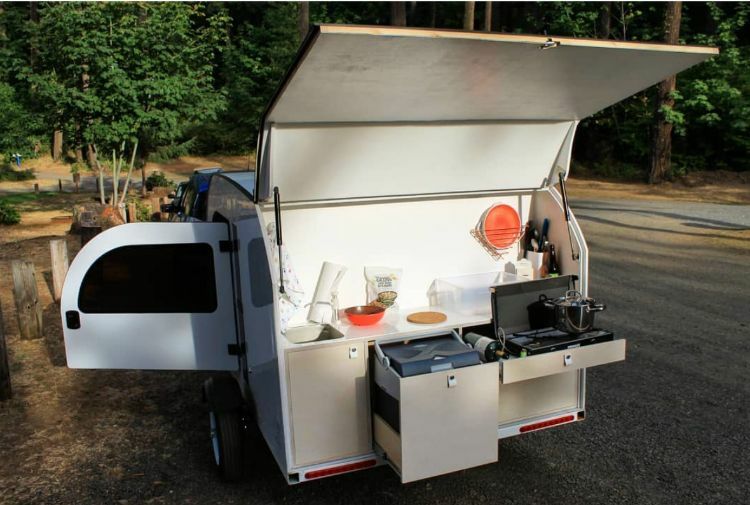 You can pull the Droplet Trailer up to a campsite, open it up and be done, no additional setup required. This allows campers to focus on the more important things such as relaxing, hiking, swimming and building a cozy campfire. 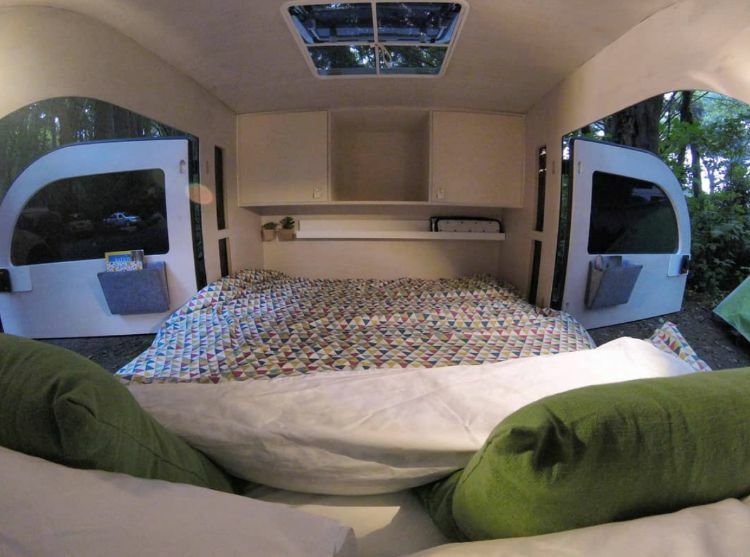 At the front of the camper you'll find more storage. There's plenty of room for a couple of camp chairs, a kite, a Frisbee and even a small grill. This little trailer is amazing. It's really impressive how many awesome features it includes in so little space. And Droplet is more than just a camper – it's a movement. This trailer's creators are building their own P2P web rental platform so owners can rent a Droplet. They are committed to dedicating 10 percent of their profits to building free campsites. 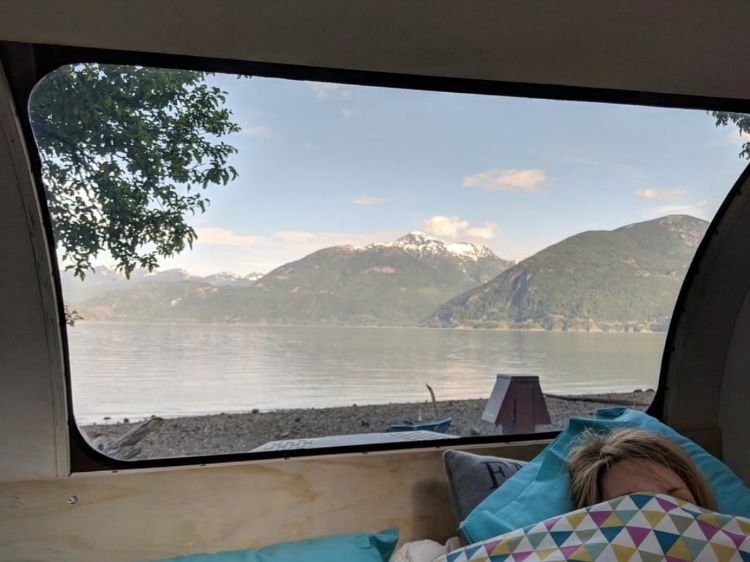 Droplet owners and renters can use these off-grid campsites absolutely free, as long as they register and book them in advance. 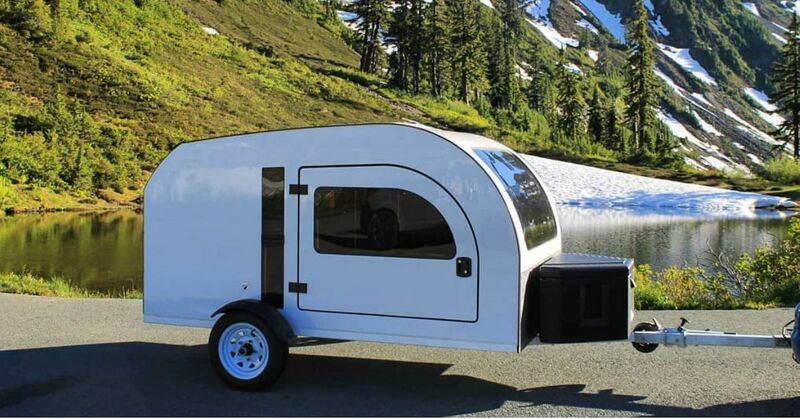 Droplet Trailers is a special company making unique trailers almost anyone can enjoy. Check out the company and get ready to fall in love.